The only criminal he can't catch is himself. Terence McDonagh: You know we got your boy, G, right? Deshaun 'Midget' Hackett: Man, I don't know no G.
Terence McDonagh: He knows you. It's amazing how much you can get done when you've got a simple purpose guiding you through life. My purpose is to find out who shot up this apartment on Josephine. I know the guy that was living there was from Senegal. I know he was selling heroin. I know whose territory he was stepping on. And I know who went over to the apartment to straighten him out. I found out all that in the past few days. Where's Big Fate, son? One thing you can always count on when you go into a Werner Herzog movie is that you can always expect to find a story surrounding a very bizarre individual. 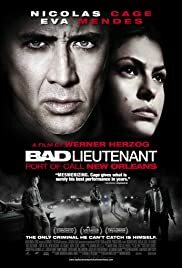 With Bad Lieutenant, I saw both Herzog and Nicholas Cage in a new light, or rather a new darkness. Labeled as a black comedy, there should be more emphasis on 'black' than on 'comedy'. The film bears a strong resemblance to the thematically surreal and contrived nature of a Coen Brothers film, but the difference is that this one is more character driven than plot driven. More specifically, this is a film that lives on one performance. Nicholas Cage for the first time in a while has done something worthy of recognition, possibly even award worthy. He plays New Orleans cop Terence McDonagh, recently promoted to Lieutenant. The film follows his latest homicide investigation. Due to a back problem and a drug addiction he is grumpy and unstable. He is sort of an anti- American hero, and the film concludes on a very bizarre note but clever anti- conventional/Hollywood manner. Though not Herzog's best, it is certainly one worth watching. 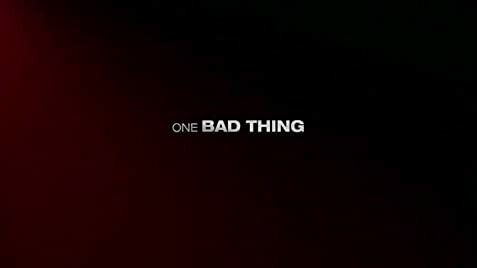 With each film I see from him, past or present he continues to intrigue me, but I think in this case, it might be Nicholas Cage who deserves the most credit. 140 of 228 people found this review helpful. Was this review helpful to you?